The world's most populous nation and soon-to-be largest economy is rapidly turning into the planet's most efficient assassin. Unscrupulous Chinese entrepreneurs are flooding world markets with lethal products. China's perverse form of capitalism combines illegal mercantilist and protectionist weapons to pick off American industries, job by job. China's emboldened military is racing towards head-on confrontation with the U.S. Meanwhile, America's executives, politicians, and even academics remain silent about the looming threat. 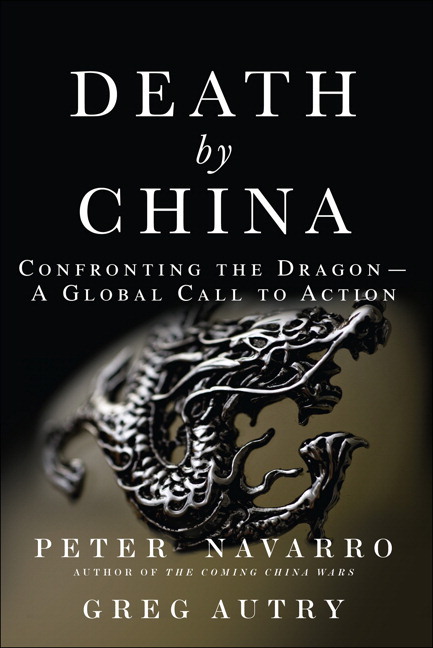 Now, best-selling author and noted economist Peter Navarro meticulously exposes every form of "Death by China," drawing on the latest trends and events to show a relationship spiraling out of control. reveals how thousands of Chinese cyber dissidents are being imprisoned in "Google Gulags"; how Chinese hackers are escalating coordinated cyberattacks on U.S. defense and America's key businesses; how China's undervalued currency is damaging the U.S., Europe, and the global recovery; why American companies are discovering that the risks of operating in China are even worse than they imagined; how China is promoting nuclear proliferation in its pursuit of oil; and how the media distorts the China story--including a "Hall of Shame" of America's worst China apologists. Peter Navarro, business professor at University of California–Irvine, is author of the best-selling The Coming China Wars. His work has appeared in BusinessWeek, The Los Angeles Times, The New York Times, The Wall Street Journal, Harvard Business Review, and MIT Sloan Management Review. A gifted public speaker, Navarro has been featured on 60 Minutes and has appeared on Bloomberg, CNN, NPR, and all three major network news shows. He is a regular CNBC contributor and has testified before Congress and the U.S.–China Commission. His recent books include Seeds of Destruction (with Glenn Hubbard) and Always a Winner. His free weekly newsletter is available at www.peternavarro.com. Greg Autry has founded several technology firms. He has taught entrepreneurship, strategy, and macroeconomics at the Paul Merage School of Business, University of California–Irvine, where he received his MBA and is currently completing a PhD in the area of Public Policy and Economics. He has written extensively and speaks regularly on China, economics, technology, and the new private space industry.